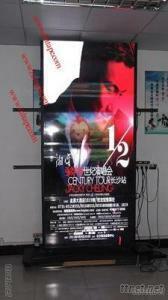 The zero mm bezel seamless LCD video wall is developed by Fultape Electronics. It is the world’s thinnest 0~0.01mm bezel large format LCD screen by now in human history. It can create 0 mm optical inter-screen gap virtually seamless LCD video wall, digital signage and other large area displays.